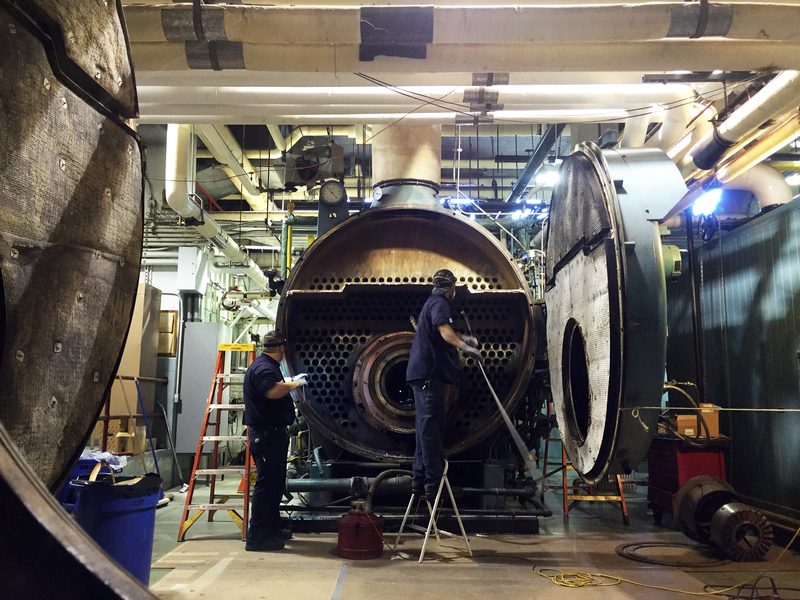 The easiest way to increase efficiency in your boiler plant is to perform annual cleanings. These are often overlooked, but fireside and waterside cleanings can save enormous amounts of fuel, which directly translate into money saved. Don’t let a season go by without properly inspecting and cleaning your heating equipment. Did you know that only 1/16″ of scale on your boiler’s water-cooled sides increases fuel usage by as much as 15%? Did you know that soot which can form on the firesides of your boiler has better insulating qualities than some of the best insulating products currently on the market? Consider other fuel-saving measures such as exhaust heat recovery, modern combustion controls, high turndown burners, and fuel conversions. At Frank I. Rounds Company, we have dedicated crews to open, inspect, clean and close your boilers in a timely manner.